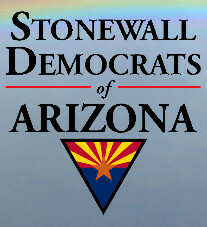 "Equality Survey in from Stonewall Dems"
Over the past several weeks Stonewall Democrats of Arizona has been working on its 2014 Primary Candidates Equality Survey. The survey consists of six questions, answerable in short paragraph format with topics mostly covering LGBT issues but also including such topics as education and health care. 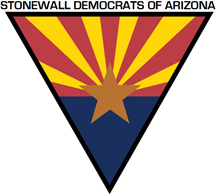 The number of candidates returning the survey has been quite high and so its been taking some time to evaluate the surveys and determine who Stonewall would endorse. Several factors are considered before an endorsement is made; just getting a survey back from a candidate does not qualify them for endorsement. Beyond the candidate's answers Stonewall conducted many interviews and calls, reviewed voting records and positions and looked into the candidates' political involvement with different clubs and organizations. During our busiest day of vetting, thirty different candidates were spoken with.